but I was,” says Stephanie (above, with Michael). 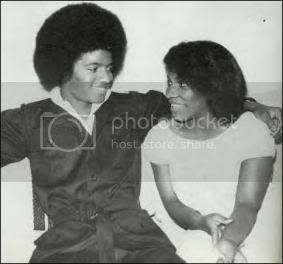 Back in the day, Stephanie Mills wanted to be startin’ something with Michael Jackson – like easin’ on down the aisle. Interviewed on Mutha Knows, the Never Knew Love Like This Before singer spills details of her trysting days with the King of Pop, while she was starring in The Wiz on Broadway. Stephanie did indeed get cozy with the Gloved One, so much so that she performed more than one wifely duty.